Game Developers Conference organizers have announced the opening of the call for submissions for the show, to be held in San Francisco on February 28th to March 4th 2011. The call for submissions to present lectures, roundtables and panel sessions for the 2011 Game GDC -- the historic 25th anniversary show -- is now open through Wednesday, August 25th. A talk abstract is required alongside a more detailed description and speaker information, and the GDC Call For Papers page has multiple annotated examples of previous submissions, giving detailed, precise instructions on speaker criteria and the selection process. Alongside this year's call for submissions, the GDC 2011 advisory board has been expanded, adding several leading industry figures in the social and independent gaming spaces. In particular, new board members include Media Molecule studio director Siobhan Reddy (LittleBigPlanet 2), EA2D designer/programmer Soren Johnson (Civilization IV, Spore), independent developer Adam Saltsman (Canabalt, Flixel), and Playfish San Francisco GM Dan Fiden. Also added for their art and audio expertise respectively are Undead Labs' Steve Theodore and Microsoft's Scott Selfon. Continuing the Game Developers Conference 2010 free video lecture series, organizers have debuted the 'Indie Gamemaker Rant' from the 2010 Independent Games Summit, also adding multiple new site navigation features. The new lecture, highly rated by GDC attendees, is part of a free update published at the GDC Vault website, and features video technology that allows users to simultaneously view a presenter's slides alongside video and audio of their presentation. The well-received 'Indie Gamemaker Rant' is now available for free video streaming, and was described by its creators at the time as: "A series of exquisite [five-minute] rants by notable indie game creators. Experience different points of view on indieness, art, beauty, and the future presented by an all star cast of international friends." As a detailed Destructoid write-up on the hour-long set of microlectures described, presenters on a host of fascinating topics included Adam Saltsman (Canabalt, pictured), Jonatan Soderstrom (aka Cactus), Anna Anthropy (aka Auntie Pixelante), Jarrad Woods (Captain Forever), Offworld editor [and now IGF Chairman] Brandon Boyer, Randy Smith (Spider: The Secret of Bryce Manor), Nathan Vella (Critter Crunch), Craig D. Adams (Superbrothers), Tommy Refenes (Super Meat Boy), Robin Hunicke (thatgamecompany), Ryan O'Donnell (Co-Op/Area 5 Media) and Babsi Lippe (Papermint). Of additional significance to those interested in independent and alternative views on games is the already available free video of the 'Artgame Sessions' GDC 2010 lecture -- including several smaller talks on Far Cry 2, Braid, Mark Essen's games (Flywrench), and Terry Cavanagh and Stephen Lavelle's Judith. GDC Europe organizers have announced a rare lecture from Another World creator Eric Chahi on his new title Project Dust, also debuting an ESA/G.A.M.E. panel and a Heavy Rain production talk. These lectures are the latest to be announced for the 2010 Game Developers Conference Europe event, which will take place August 16th-18th, and is located in Cologne, Germany alongside GamesCom, the leading regional trade and consumer show. The notable new speakers for this must-attend show for European game developers are led by Ubisoft's Eric Chahi, the creator of seminal adventure game Another World (also known as Out Of This World) in the early '90s. Chahi has recently returned to the game industry, and is presenting a lecture with Ronan Bel of Ubisoft called 'Creating a High-Performance Simulation: A Dynamic Natural World to Play With'. In it, the duo will introduce Galileo, "a real-time simulator of flowing water, lava, erosion, sedimentation and vegetation", and its use as foundation for a fully dynamic world-based game, the just-announced Project Dust. In addition, a panel called 'Building Grassroots Video Game Activist Networks' sees Richard Taylor of the Entertainment Software Association and Stephan Reichart of G.A.M.E. (the German Games Developers Association) team with Crytek's Avni Yerli and additional, yet to be announced panelists to discuss how the industry can guard against censorship by using its biggest advocates - its fans. Finally, one of Europe's key, critically acclaimed games of 2009 is examined in detail by Quantic Dream's Charles Coutier in his lecture, 'A Challenging Production: Heavy Rain'. The talk will focus on the French developer's iterative processes and adaptive management approach in making the atypical title, with plenty of specifics on asset management and outsourcing practices discussed. Bill Roper, the former Blizzard executive who now serves as chief creative officer for MMO developer Cryptic Studios, will deliver a keynote address at the 2010 Game Developers Conference China in Shanghai this December, event organizers announced today. In his keynote presentation, Roper will "speak to the future of game development" in a wide-ranging speech on his career and views on the industry, according to an official statement. Organizers of GDC Online (formerly GDC Austin) have announced the first set of lectures for this October's pre-eminent conference related to online games, including a 'Live' track featuring Sony Online, Wizard101 and IMVU speakers. The Austin, Texas-based GDC Online conference and expo is keenly focused on development of connected games including social network titles, free-to-play web games, kid-friendly online titles, large-scale MMOs, and more, with a leading advisory board guiding the evaluation and choice of lectures. While there are already over 25 confirmed lectures across the entire event, organizers are focusing on the 'Live' track, which discusses the vital topic of successful strategies for online games post-launch. The rise of swiftly iterated social games and microtransactions have led to a wide array of new techniques and technologies that can help increase fun, profitability and retention, and the 'Live' track will deal with many of these. - In 'From Shadowbane to Wizard101: Strategies for Expanding Player Communities and Sustaining Enthusiasm After Launch', J. Todd Coleman & Josef Hall of KingsIsle Entertainment will reference their 10 million registered-user online game and previous experience, identifying "sustaining community that transcend genre and generation, the importance of always having new content in queue, and strategies for communicating milestones and methods for remaining engaged in public conversation." The UBM TechWeb Game Network, organizer of the industry-leading Game Developers Conference events, is pleased to announce that submissions are now open for the 2011 Independent Games Festival -- to be held at GDC 2011 in San Francisco next March. The longest-running and highest-profile independent video game festival, summit and showcase is now accepting entries to the 13th annual Festival, with deadlines in the Main and Student Showcase categories by October 18th and November 1st respectively, and finalists to be announced on January 2011. All games selected as finalists will be available in playable form at the IGF Pavilion on the GDC show floor, and will compete for nearly $50,000 in prizes, including the Nuovo Award, Excellence in Design, Art, Best Student Game, the Audience Award and the $20,000 Seumas McNally Grand Prize. Winners will be announced on stage at the high-profile Independent Games Festival Awards on Wednesday, March 2, 2011, at the Moscone Center in San Francisco. 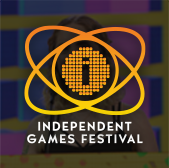 handheld devices will compete in the same traditional IGF categories. innovation, achievement and artistry in handheld gaming. Organizers of the Game Developers Choice Online Awards at GDC Online in Austin this October are reminding that nominations for the awards -- honoring the best MMOs and social games -- are only open until June 30th. The first-ever awards ceremony, being held at GDC Online (formerly GDC Austin), will honor the accomplishments of the sometimes overlooked creators and operators of persistent online video games -- from large-scale MMOs through free-to-play titles to social network games. The awards span excellence in live services, technology, game updates, online game design, and more. In addition, two special awards will honor outstanding individuals and games in the space, with the Online Game Legend Award being given to a person who's changed the world of online games forever, and one particular all-time classic online game being inducted into the GDC Online Awards' Hall Of Fame. After award finalists are announced, the worldwide community of online game players will also have the opportunity to designate their favorite online game in the Audience Award category. 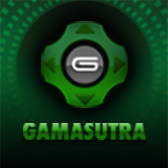 Nominations are now open, and game professionals with free Gamasutra.com user accounts can put forward their favorite online games for the awards. The GDC Online Awards are a sister event to the Game Developers Choice Awards which take place at GDC San Francisco every year. The award categories and this year's Special Award winners will be determined by the GDC Online Advisory Board. This group includes notables like BioWare Austin's Gordon Walton, Metaplace's Raph Koster, Playfish's Sebastien De Halleux, and Nexon's Min Kim. Winners for the Game Developers Choice Online Awards will be selected by a specially selected subset of the International Choice Awards Network (ICAN). This is the same group of over 500 handpicked leading industry creators that pick the Game Developers Choice Awards winners at GDC in San Francisco every year. Organizers have debuted the latest round of GDC Europe talks, with Remedy on Alan Wake's art direction, design wisdom from Age Of Empires co-creator Bruce Shelley, and a motion control-centric postmortem of Red Steel 2. The lectures are newly announced for the 2010 Game Developers Conference Europe event, which takes place from August 16th-18th, and is -- for the second year -- located in Cologne, Germany. It takes place alongside the leading European consumer/trade GamesCom event, making the duo a must-attend for European and international game creators. - A lecture called 'Alan Wake: Light and Dark' has Remedy art director Saku Lehtinen discussing the multiple graphical techniques and work behind the Xbox 360 game's acclaimed atmosphere. As he notes: "How did the game's basic dualities of light vs. dark, sanity vs. insanity and real vs. supernatural echo in the design and visuals in order to support the story and create a memorable experience?" - In 'Chilling Tales from Red Steel 2: How Motion Control Will/Won't Change The Future', Ubisoft creative director Jason VandenBerghe explains: "Red Steel 2 broke the mold, and proved that motion controls aren't just for the casual crowd... But sales were sluggish, and the team was confronted with extensive challenges in making real gameplay work with an entirely new input method." This honest lecture will explain what went right -- and wrong -- during the game's creation. - Ensemble Studios (Age Of Empires) co-founder and design veteran Bruce Shelley is making a special appearance at GDC Europe to present 'Five Rules for Draft One of Your Game Design', and he'll share "five guidelines for the challenge of producing a complete first draft game design proposal, a road map to help designers focus their thoughts and get momentum on the process of 'getting it down.'" Organizers of Game Developers Conference China 2010 have announced main Online Game Business and Outsourcing tracks, plus Social and Mobile Summits and the Indie Game Summit/Fest, simultaneously calling for submissions for the December Shanghai event. The call for submissions to present lectures, panels, and tutorials at the event is open now through Wednesday, July 21, 2010, and UBM TechWeb's third Chinese conference aims to provide a forum for local and international developers to explore business opportunities, expand their reach to a unique market, and discover the ongoing trends emerging within the region. The two GDC China main conference tracks will focus both on global game development and outsourcing, as well as on the business and development of online games. In addition, the conference will feature three dedicated summits, each providing a laser focus on some of the industry's top trends: the Mobile Games Summit, the Independent Games Summit, and the new Social Games Summit. GDC Europe organizers have announced major new speakers for the August event in Cologne alongside Gamescom, with 2K Czech talking Mafia 2, PopCap on Bejeweled Blitz, an all-star level design talk, and a keynote from Chinese online game powerhouse Tencent. Following major recent talks announced from Heavy Rain's David Cage, InstantAction's Lou Castle, and the creators of Crysis 2, APB and Split/Second, the new talks further expand the leading European video game conference, which takes place on August 16th-18th in Cologne, Germany. - Level designers from major games Brink, Mirror's Edge and Alan Wake combine for the collaborative talk 'The Tao of Level Design: A Study of 3 AAA Games', with Splash Damage's Neil Alphonso, EA DICE's Elisabetta Silli and Remedy's Mikael Kasurinen posing the following question: "Are level design approaches for radically different games inherently similar, or do accepted methods need to be drastically altered to fit the unique nature of the project?" As this October's GDC Online -- formerly called GDC Austin -- prepares for first content announcements, the Texas-based show has added Playfish and Electric Bat execs to BioWare, Nexon, SOE, and Zenimax notables on its Advisory Board. The GDC Online Advisory Board, which is also helping oversee the newly revealed Game Developers Choice Online Awards, is intimately involved in selecting content for the October 5th-8th show at the Austin Convention Center. Board members individually rate each GDC Online lecture submission. They also meet in person multiple times yearly to decide final lectures and keynotes from submissions and invitations -- making sure GDC Online remains the leading worldwide game industry event to concentrate specifically on social games, free-to-play titles, MMOs, and more. At last week's GDC Online board meeting in Austin, existing board members were joined by new recruits in the form of Sebastien de Halleux, VP of EA Interactive and Playfish co-founder, and Cindy Armstrong, Webzen and SOE veteran and Electric Bat Interactive CEO. Following Electronic Arts' $300 million acquisition of social game company Playfish in November 2009, De Halleux -- who helped head up the Pet Society creator -- now works on "monetization, business development, and relationships" with key partners across the division's three business units, Playfish, Pogo and EA Mobile. Armstrong, who has been a high-profile executive in the online games space for many years -- previously as CEO of Webzen America and Vice President of Business Development at Sony Online Entertainment -- is currently president and CEO of Electric Bat Interactive, who are working on online 'layered reality gaming' including WebLords and Weblings. The 2010 GDC China Chengdu Forum's first event, held in late April, was a success, organizers say. The event, co-organized by Game Developers Conference organizers UBM together with the Chengdu Municipal Government, took place in Chengdu City's New Int'l Convention & Exposition Centre. The two new lectures, both highly rated by GDC attendees, are part of a free update published at the GDC Vault website, and feature video technology that allows users to simultaneously view a presenter's slides alongside video and audio of their presentation. The first talk to be made freely available in this set is 'Meta-Game Design: Reward Systems that Drive Engagement', originally presented at the Social & Online Games Summit by Shufflebrain co-founder and veteran social game/community designer Amy Jo Kim. Kim, whose clients have included Electronic Arts, Sony, Disney, eBay, MTV, Square Enix and Harmonix, presents an in-depth look at 'metagame design', that is, "the practice of applying game-like reward and feedback systems to non-game applications for the purpose of driving loyalty and engagement". In the 30 minute talk, the designer and consultant examines games like FarmVille and websites like Stack Overflow to see how clever incentivizing can make -- or break -- your product, whether it sits in the game space, web space, or somewhere in between. 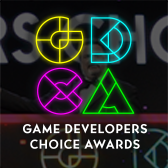 Organizers of this October's GDC Online conference (formerly known as GDC Austin) have announced that they will host the first annual Game Developers Choice Online Awards, to recognize the rich history, technical excellence, and continued innovation in the arena of online games. The new awards ceremony will honor the accomplishments of the sometimes overlooked creators and operators of persistent online video games - from large-scale MMOs through free-to-play titles to social network games. The awards span excellence in live services, technology, game updates, online game design, and more.